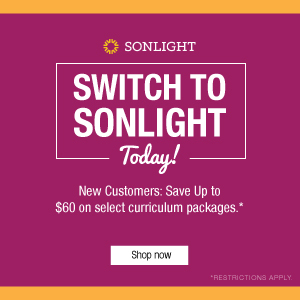 I read this article and wanted to share it with you: 25 Years (& 16K books) Later: My Favorite Part of Making Sonlight https://blog.sonlight.com/25-years-and-16000-books-later-my-favorite-part-of-creating-sonlight.html. As we gear up for our 25th anniversary celebration next week, I've been thinking about the joys of being part of Sonlight all these years. This post shares one of my highlights. My parents didn't oversee much of what I did as a girl. As Dutch immigrants with a deep respect for educational institutions, we certainly never discussed what I was learning. I went to Christian school, and my parents trusted things were going well. So I must have become a bookworm on my own. Our house was usually pretty quiet, and I remember countless evenings in the living room as my mother, father and I all read to ourselves. My brother would go off to watch TV in another room, but that never interested me. I much preferred my enthralling world of books. Each week I would ride my bike to the public library and check out 50 books, the maximum number allowed. I simply wandered the children's section and picked whatever caught my eye. (Fortunately, children's literature was a lot tamer in those days than what you'd find in some corners of the children's section today.) I'm pretty sure I read every single horse book in that library. I'd pack my books into the saddlebags on my bike and ride home. I'd read them all in a week and then turn around and do it again. I found solace and deep pleasure in reading. And I still do. There's just something magical about visiting other times, places and cultures through a good story. These days, I fill many roles for Sonlight. I do everything a typical president of a company does. But I also get to spend lots of time in curriculum development. And as part of that role, I get to do my favorite piece of my Sonlight work: I get to read. I estimate that I've read at least 16,000 children's books since we started Sonlight 25 years ago. And that's a low estimate, just to play it safe. I curl up in my designated reading chair at home and enjoy at least twelve books a week. Every few years, that chair gets plum worn out and we donate it and replace it with another one. Though my reading as a girl really had no direction to it, my reading today does. 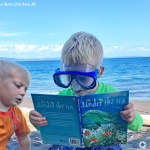 I read scores of new and classic children's books on the hunt for the very cream of the crop to include in our programs. When we first started Sonlight, I drew on my list of favorites that I'd read throughout the years. Now I get to keep adding to that list. I read most books very quickly, since most are nowhere near worthy of including in a Sonlight program. But I do in-depth evaluation of several books a week. If a book is so good I want to read it again right away, I get out my 7-point test to evaluate it further. And when I think of the past 25 years of Sonlight, I know beyond a doubt what my favorite part has been. The reading. The chance to share these amazing stories with others. I have a feeling you might say the same as a Sonlight user. 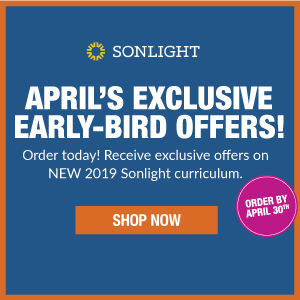 Out of all the parts of homeschooling with Sonlight, the times most moms cherish the most are when they get to sit down each day with their children, breath deep, and dive into a great story. 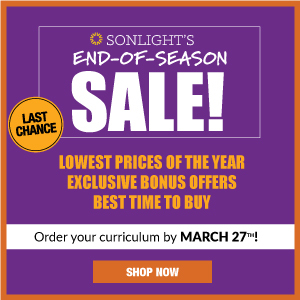 Those special hours immersed in Sonlight books together, knowing it's all woven together into a cohesive education ... those hours are what make the Sonlight experience so special. And I wouldn't have it any other way. Thank you for reading and seeking out the best books! 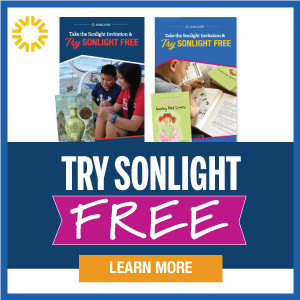 We have enjoyed Sonlight books for 15 years. 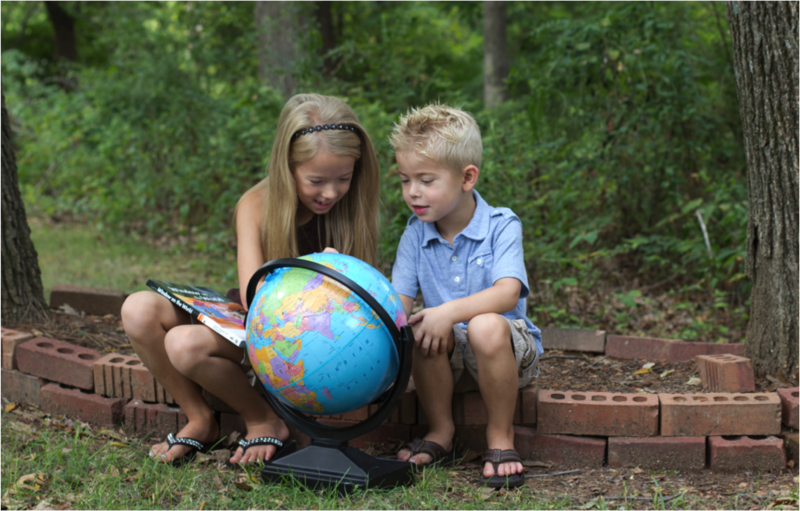 Homeschooling would not have been the same without you--what a treasure these years of reading aloud have been!